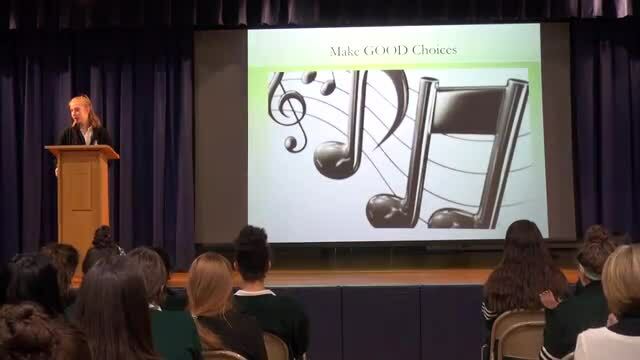 On April 9, 2019, ten students were recognized with Soaring Eagle Awards for the first half of the second semester. Congratulations to Gianna Stirone’21 (Mathematics – Mrs. Lori Cellini), Maria Cangelosi’21 (Religious Studies – Mrs. Beth Mueller Szydlik’84), Alexandra Stadler’19 (Science – Ms. Lauren Fitzgerald), Bryn Bogan’19 (Physical Education – Ms. Shemayne Williams), Jane DiLauro’19 (Social Studies – Ms. Pam Lewis-Cantor), Abbey Benus’22 (World Languages – Mrs. Maria Daly-Valls), Madeline Foglia’19 (The Arts – Mrs. Lisa Encke), Melanie Harrigan’20 (English – Ms. Macedo), Karleena Pineda’21 (Technology – Mrs. Theresa Seymour Dolan’95), and Angela Messere’22 (Communications – Mr. Phil Bernardi). 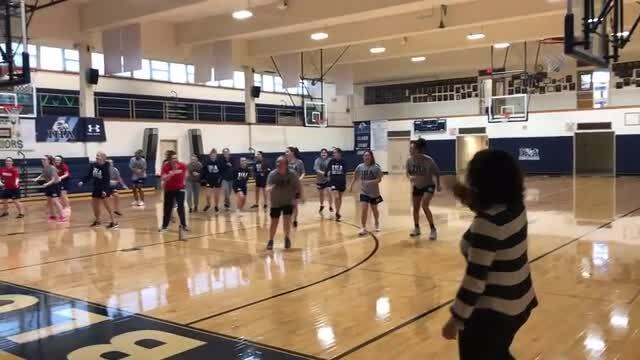 Congratulations to Gianna Stirone’21 (Mathematics – Mrs. Lori Cellini), Maria Cangelosi’21 (Religious Studies – Mrs. Beth Mueller Szydlik’84), Alexandra Stadler’19 (Science – Ms. Lauren Fitzgerald), Bryn Bogan’19 (Physical Education – Ms. Shemayne Williams), Jane DiLauro’19 (Social Studies – Ms. Pam Lewis-Cantor), Abbey Benus’22 (World Languages – Mrs. Maria Daly-Valls), Madeline Foglia’19 (The Arts – Mrs. Lisa Encke), Melanie Harrigan’20 (English – Ms. Macedo), Karleena Pineda’21 (Technology – Mrs. Theresa Seymour Dolan’95), and Angela Messere’22 (Communications – Mr. Phil Bernardi). The complete misunderstood fixation of the Vape and the JUUL by adolescents. The susceptibility of the adolescent brain to this dangerous stimulant. The systemic dangers to the brain and body that is completely underestimated. The Tri-Fecta Gateway of Nicotine, Alcohol and Marijuana. 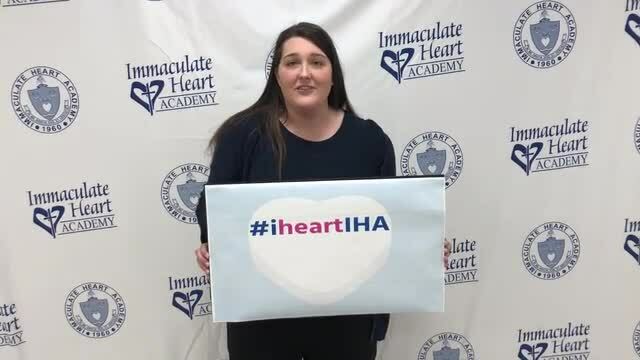 Introducing you to our Coming Attraction: IHA Giving Day - Feb. 14, 2019! 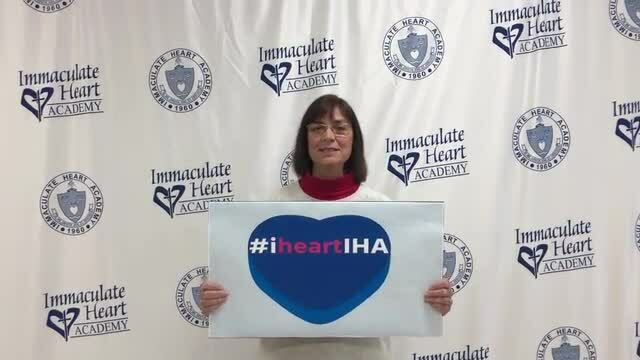 Watch to see what happens when our school community comes together to #showlovetoiha. It's GIVING DAY WEEK and 70s and 80s alumnae, we're talkin to you! 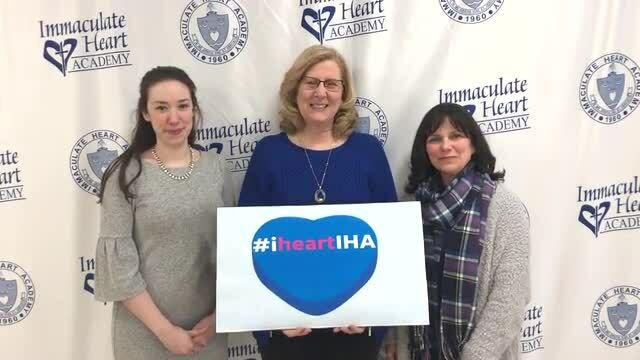 These alumnae faculty/staff members love IHA SO MUCH that they went here, work here, AND sent their daughters here!